American cross-country skier Kikkan Randall is the epitome of strong in every sense of the word. 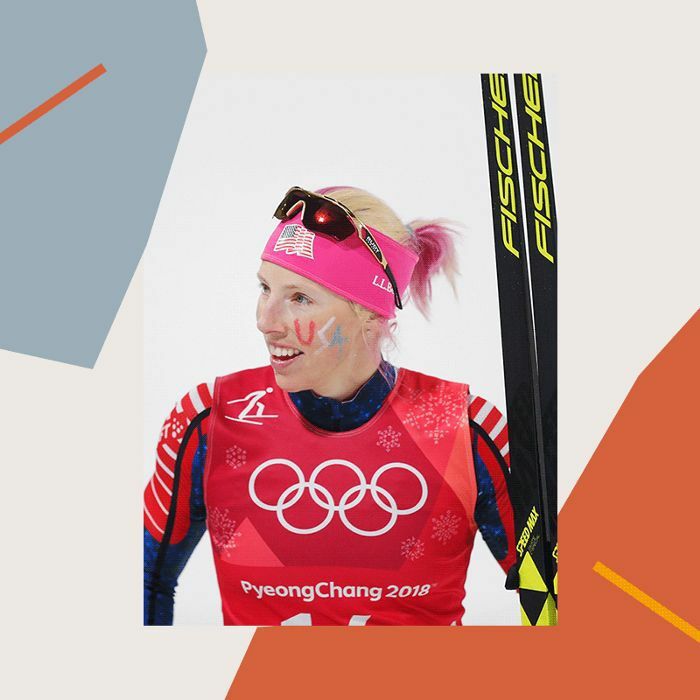 She and teammate Jessie Diggins just became the first U.S. women to win Olympic medals in cross-country skiing for the team sprint event, and they didn't just make it to the podium, they took home gold. For Randall, this historic journey to gold started back in her hometown of Anchorage, Alaska. The niece of two Olympic athletes, her training began young. She was a top performing cross-country runner during high school and began skiing simply "to stay in shape" during the winter, she reveals on her personal website. According to NPR, since her first Olympics in 2002, Randall never finished higher than sixth place until Pyeongchang at age 35. Despite years of trial and error, Randall never gave up on her dreams of being an Olympic gold medalist, and her perseverance certainly paid off. But Randall is much more than a world-class athlete. Just 22 months ago, she gave birth to a baby boy named Breck, proving that being a parent doesn't have to inhibit your goals—it can strengthen your abilities. The skier took a season away from racing when she was pregnant, but that didn't stop her from training. According to the Associated Press, she continued weight training, interval work, and was doing training runs through her seventh month of pregnancy. "In a sport like cross-country skiing where it takes so long to get to the top, you really just start getting to the fun part when you're kind of in your prime childbearing age," Randall told the Boston Globe. "It was something where I didn't want to have to make a choice either way. I was curious to see if I could do it. And thankfully I'd had an amazing career to that point and I was going to be happy no matter what happened. I've come back surprisingly strong. I love being a mom." This seriously inspiring person defines what it means to be an athlete today, and now she has a historic Olympic gold medal to prove just how strong she is.